Look! Disney – mentioned in the book I’m reading! Fascinating! Feeling especially colorful on Wednesday – short work days call for fun outfits! Wednesday night = Thanksgiving meal prep! So – there are pictures…not too many words. Hopefully they’re worth it! Ha! I’m still in a lovely, tryptophan induced haze – are you? I was in charge of the kitchen this year; however, it was only my Dad and I, so it was a smaller meal but enjoyed with precious family nonetheless. I’m soaking up the free time that the second day of my four day weekend (all the praise hands) is offering and soon I’ll be off to meet my friend Rachel for a movie (Fantastic Beasts!) and dinner! Thanksgiving may be over for this year (just barely…) but there is always so much to be thankful for, every day of the year. So I thought in honor of the recently celebrated Thanksgiving holiday, I’d share five of the things I’m most thankful for – not just on Thanksgiving Day but every day. One. My Savior – The true meaning of Christmas; a tiny baby born to save the world. Jesus; who humbled himself and became like man and was born as a baby in Bethlehem with the knowledge that He would lay down His life thirty-three years later to pardon the wicked world of sin. He paid the price I could never pay and showed grace and mercy that I will never deserve. I don’t think it is within my human mind to comprehend just how immensely grateful I should be for this gift…but that is only because my mind cannot comprehend the greatness of my Lord and Savior. Two. My Family – Oh man…I don’t even know where to begin on this one. The people that made me who I am today and continue to shape my life each day – in the best ways possible. I know without a doubt I hit the jackpot when it comes to my family (I may or may not have a few friends who’ve requested to be adopted…) and I would not be the person I am without their guidance, encouragement, support and ever present love. Three. My Friends – Also known as some of the most amazing people in my life; hands down. My group of friends are made up of people that I have known (literally) since I was born to some sweet people I’ve only known a couple years…but I know are friendships that will last a lifetime. Wonderful, loving, supporting, caring, hilarious people who are so happy to share my joy and just as happy to be there to share my sorrow too. I’m not certain what I did to be able to call so many wonderful people friends, but I am beyond blessed and so very thankful! Four. My Watson – The sweetest and goofiest little puppy dog that I have ever known and have had the pleasure of having for the past seven years. Watson just wormed his way so deeply into not just my heart but my families’ and I know I would certainly be lost without my little fellow. When I lived alone in Mississippi, he was my only companion and I’ll admit I spent many nights chatting with him – he’s a very good listener. In the past few years he’s adjusted better than I’d imagine to being more of an indoor pup…but then again, he seems to take any and every situation and just happily settle right in. I’ll never find another like him. Five. My Home – And by home, I don’t necessarily mean my house (although I’m plenty thankful to have a roof over my head)…in so much as I’m thankful for the wonderful place I live. Mountains outside my door, history at every crossroad and turn, the greatest city in the US (in my humble opinion) just an hour up (down?) the road. My life has changed so dramatically for the better since I made the move to Virginia almost 2.5 years ago and I’m so thankful to call Virginia my home! And so here we end Five on Friday – I hope everyone had a very Happy Thanksgiving and has just as many reasons to be thankful; if not more. Two of my three favorite months have come and are (almost) gone and December is looming…and December is MY favorite. So, until next time…have a lovely weekend! When you find the perfect spot to get some morning sun…. Honestly – almost every single picture I have of the past week relates to those two things. My precious puppy dog and the crazy weather that rolled into town this past weekend. 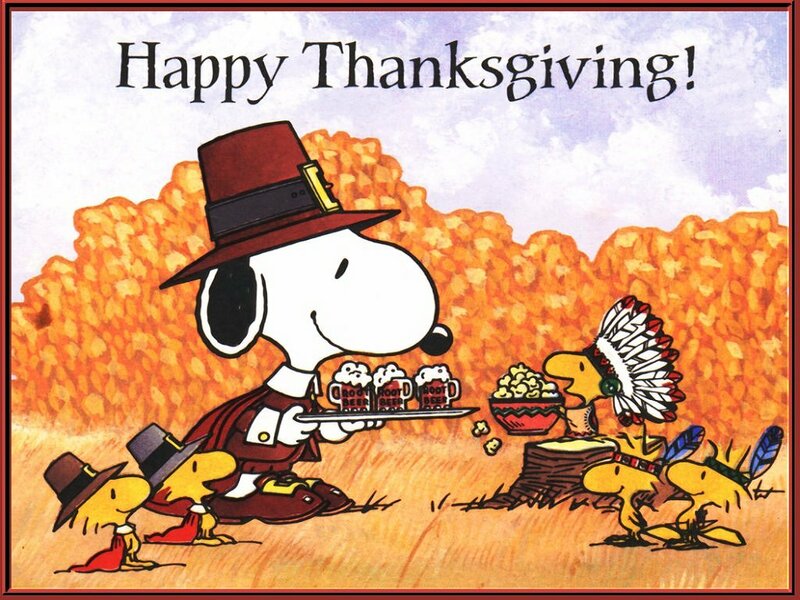 I honestly can’t believe that Thanksgiving is in 48 hours; this month has passed in such a blur, and I haven’t even been that busy! I’m sure I’ll blink and December will have come and gone. I feel like there is just not a lot to share from this past week. I feel like most of November has been that way – things happened – none of them seem remarkable. This past month has been more ordinary than extraordinary…if that makes sense? The work week was pretty hectic and so I was glad to see Friday arrive. The work day was made better by a quick lunch run to Panera – I could eat their broccoli cheddar soup all day long – and an afternoon Starbucks trip made by one of my co-workers. Nothing like a Chestnut Praline Latte to perk you up on when you’re feeling lazy on a Friday afternoon! If I could sum up a large portion of my weekend in one picture – it would be the one pictured below. Watson had to look away – it was too intense! I watched copious amounts of White Collar on Netflix. Seriously – that was a generous portion of my weekend and I am 100% fine with that. I watched a couple episodes on Friday night until I thought I was about to fall asleep on my couch…a comfy couch and a cozy blanket will do that to you! Saturday morning dawned warm – the weather was hovering somewhere around 68 or 69 by about noon. After drinking coffee and whiling away the morning, my Dad and I left the house around 1:00 to run some errands and go see Dr. Strange. When we went into the movies at 1:50, the wind had picked up and clouds were rolling in…it was still hovering somewhere around 68 and I was thinking that wearing a long sleeve cardigan was a really poor choice. When we emerged from the movies at 4:00, the temperature had dropped to a brisk 45 and the wind (the cold, cold wind) was whipping at 28 miles per hour! What a difference a few hours can make! I was planning to join a friend for church on Sunday morning but felt unwell and so I had to call in a raincheck. I ended up being lazy for a little while and then tackling the wrapping of some presents before beginning the laundry… Watson was my ever faithful supervisor and was even kind enough to pose beside the Christmas tree for a quick picture. Sunday passed quickly…I feel like Sunday always does though. The weekend starts to speed toward it’s conclusion and the inevitable arrival of Monday looms large once more! After spending the afternoon catching up on some shows I’d DVR’ed during the week (Poldark & Timeless) I joined my Dad for supper at Panda Express (the first time I’ve ever eaten there…) and then watched Westworld before turning in for the night. Another week come and gone. A good week; a week without too many stresses (once the work day was done at least), which is always nice. And so now, here we are…two days until Thanksgiving, eight days until December, thirty-two days until Christmas and just thirty-eight days left in 2016. Here’s hoping that those final thirty-eight days are filled with good thing, few stresses and happy moments. I’m kidding. Sort of. We did discover a few years later an old map that had been stuffed beneath my parent’s bed and scrawled on the back in childish scribble was “Lindsey is an ugly baby”. Ouch – I guess I had some real feelings about being promoted from only child. Granted – all that emotion was twenty-six years ago. Well…something like that. We fought like cats and dogs when we were younger; every once in a while it was like some kind of battle royale, we may have convinced my Mom that we were never going to like each other. Sorry Mom. And then…just like that, I moved out to go to college and we didn’t live in the same house anymore….and we wouldn’t again. I’d like to think that if we’d known that, we would have soaked up one another’s attention and affection a little bit more. Who knows? Somewhere in the midst of those years – when I was in college and she was in high school – when she came to visit me for the weekend or I’d go home for the weekend…somewhere along in there we started to be friends. I like to think she always thought I was cool (don’t younger siblings always think their older siblings are the coolest?) but somewhere along the way I realized she was pretty cool too. Lindsey moved across the country to go to school and I moved back “home” and life continued on. The years passed and we saw one another in five and six days spurts every few months…which when you think about it, is really strange. To go from doing every day with a person all your life to suddenly seeing one another a grand total of twenty or thirty days a year… Life is funny like that, you know? Perhaps that is what bonded us so closely but I’d like to think even if we had continued to live together through Lindsey’s college years we’d still be as close – who knows? What I do know – I’m so incredibly blessed in so many ways but one of the blessings I am most thankful for is that my little sister is also my best friend. I may not have been so keen on her to begin with but that’s certainly not the case anymore. On any given day, if you were to ask me to name one person who would no doubt make me feel better, make me laugh, the person that I want to share my struggles and triumphs with – it’s that little sister of mine. She has grown into one of the most amazing, talented, loving and kind people I know; she has more determination in her little finger than most people (me included) have in their whole body. If you give her a challenge, she’ll not only best the challenge but she’ll probably excel while doing it…because that’s just who she is. I don’t know what it’s like to be an only child – I got promoted to big sister twenty-six years ago today and while at the time I wasn’t so sure; I know now that it was probably one of the best days of my life. I gained not only a little sister but a partner in crime, a confidant, a shoulder to cry on, someone to laugh at inside jokes with…I got the best friend in the world. I’m so happy that twenty-six years ago today the Lord decided to make you a part of our family – of course He knew you’d be perfect for us…for me. I hope you have the happiest of birthdays and that your 26th year is everything you hope it will be.